Grammy-nominated, Patinum-selling singer, Stacey Kent, sings from the soul, telling her stories with faultless phrasing and a lucid, enchanting voice. 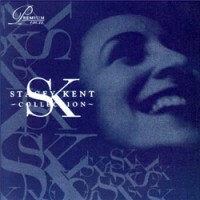 Before signing to Blue Note and now Sony Records, Stacey recorded for Candid Records from 1997-2003. Candid proudly presents ‘What the World Needs Now is Love’ a collection of all-time classic love songs. The idea for this collection was inspired by its title. 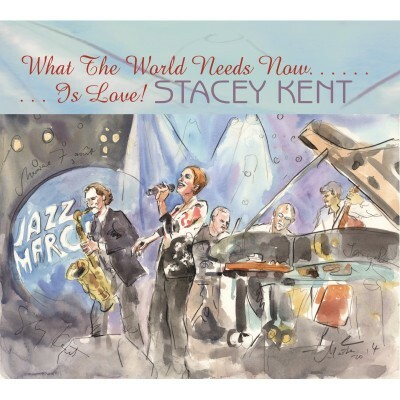 When Stacey sang ‘What the World Needs Now is Love’ on stage in Paris at her December 2015 concert at the Theatre des Champs Elysees, we thought how fitting this message of hope and healing would be, especially after the terror attacks in France. Whether it is Rodgers and Hammerstein’s “People will say we’re in Love”, Gershwin’s “I’ve got a Crush on You”. Carole King’s “You’ve Got a Friend” or any of the other dozen songs in this presentation, Miss Kent’s interpretations are all the definitive article.